“Jharkhand’s healthcare scenario has faced challenges and adversities due to superstitious beliefs, outdated social practices, lack of education and other factors. There was no health seeking behaviour we had to gradually build it,” informed Nidhi Khare, Principal Sect, Dept of Health and Family Welfare, Govt of Jharkhand. 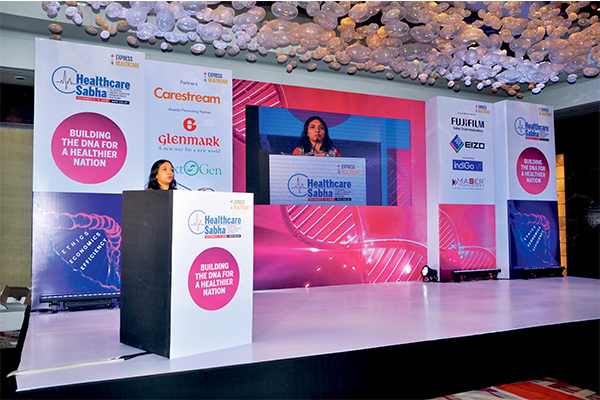 Speaking on the second day of 4th edition of Healthcare Sabha, Khare explained how National Health Mission (NHM) has helped the state to build better capabilities for healthcare, be it in terms of infrastructure, better healthcare resources and more trained personnel. “More and more flexibility came into public health services after NHM was launched in Jharkhand and we were able to address more maternal and child health related issues. Day care centres, more institutionalised deliveries, better health information programmes, etc., are some of the measures that are improving health outcomes in the state,” she informed. Khare further added that the government is striving to take several measures to improve awareness about diseases, enhance the effectiveness of screening programmes and reach out to the underserved populations in the state. “Jharkhand has only three medical colleges and we have only 350 doctors per year as of now. The state government has planned to increase the number of medical colleges and increase the number of doctors to 1200 per year and we hope this will address the lack of doctors in the state,” she said.